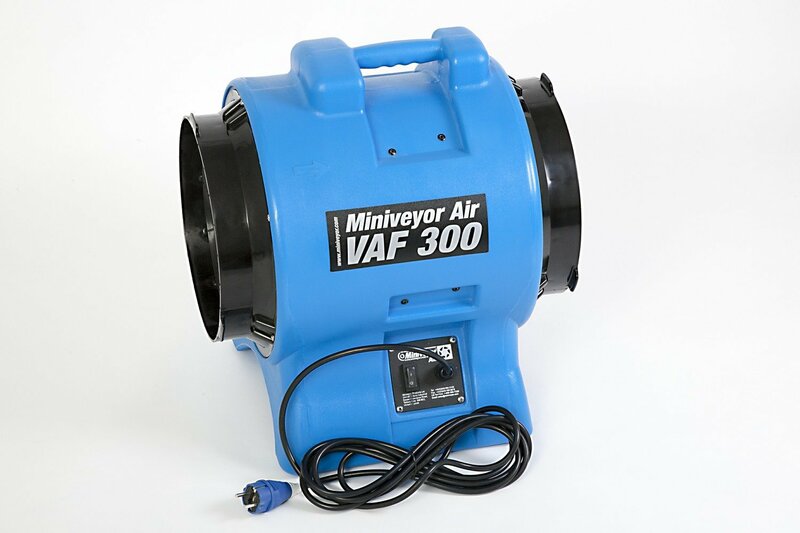 Miniveyor Air VAF-300 portable ventilators are built to provide maximum power where it is needed and is the ideal confined space exhaust fan for welding fume removal, concrete cutting or demolition. It is also a great blower during remediation work following flooding to dry out buildings. The VAF-300 vane axial fan, is the professional choice for construction site work and is available in either 110V or 230V. It works on positive and negative airflow and is at home either extracting dust and fumes or blowing clean air into a workspace. For those confined spaces that require a powerful air ventilator, the VAF-300 can handle most of your demanding industrial needs. A powerful 750 Watt electric motor can deliver both positive and negative airflow at an incredible maximum capacity of 3,400 m³ per hour. The Blowers should be used in temperatures below 65ºC/149ºF and the flexible ducting 150ºC/302ºF. The fan body is made from a dual wall polythene rotational moulding which allows it to withstand the knocks and blows normally found in industrial use. It can out perform conventional metal bodied fans several times over. 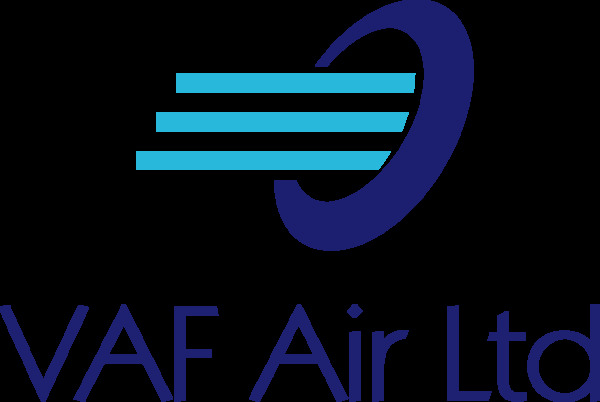 In fact we are so confident in the VAF-300’s quality then we offer it with an industry beating 10 YEAR warranty upgrade on the fan body. Stackable to reduce storage space and working footprint. *The VAF-300 is for use in Non-Explosive and Non-Flammable environments only.